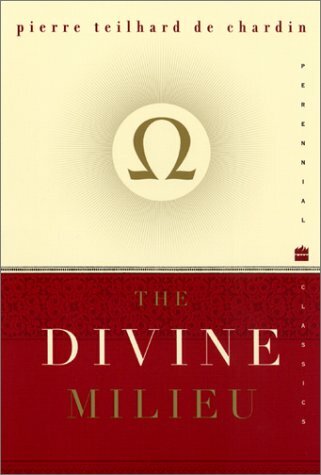 Pierre Teilhard de Chardin’s The Divine Milieu sets out with the explicit and practical intention of putting forward “a way of teaching how to see” (9). By dividing human experience into that which we do (the active) and what which we have done to us (the passive), Teilhard attempts to chart the course by which all “human action can be sanctified” (12). This essay will explore the insights, and omissions, Teilhard presents regarding a contemporary spirituality of work, as a primary dimension of the active field of experience. According to Teilhard, the beginning place for the divinisation of work lies at the level of intention. That is, a Christians’ primary intention in work ought to be formational—to learn through it “how to obey and how to love” (17). Work, therefore, is an opportunity to grow in Christlike character and humility. While Teilhard proceeds to highlight the limitations of this perspective, we will pause to consider the value of this preliminary foundation for a contemporary spirituality. 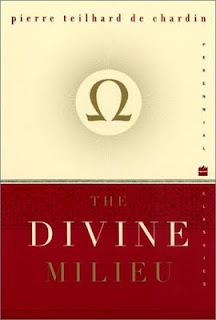 The great challenge that Teilhard addresses is that nine out of ten Christians do not have a framework for locating their work within the domain of faith. Instead, they conceptually divide their active lives up into at least two arenas: things they do in view of their faith, and things they do simply because they must as humans. Partial though it is, it can be a great remedy for Christians to begin to see their work as the primary vehicle for their spiritual growth. The relationships, challenges and successes of work can, and should, be viewed for their divine utility for our souls. What this helpful perspective lacks, suggests Teilhard, is the ability to make work meaningful in its own right, rather than merely an instrument of spiritual meaning. It “pours a priceless soul into all our actions; but it does not confer the hope of resurrection upon their bodies” (18). The intrinsic meaning of work is attributable to the role human endeavor plays in completing the world in Jesus Christ. As we build, design, write, organize and serve we are “advancing God’s kingdom in every domain of mankind” (34). Most shockingly, Teilhard asserts that in our work we are building the Pleroma and perfecting Christ (26)! In this view, we might say that life in the kingdom of God bears less resemblance to a perpetual Hawaiian vacation than to having the perfect job. A further insight Teilhard provides is what we might call the sanctification of human ambition. While Christians often conflate ambition with pride, Teilhard asserts that the “will to succeed, a certain passionate delight in the work to be done, form an integral part of our creaturely fidelity” (27). Not only should we cease attaching guilt to ambition but now we can detect within it a faithfulness to our created humanity. Not only does our work have lasting meaning, but it is our faith which imposes on us a duty to “throw ourselves into the things of the earth” (34). With this understanding Christians can “speed toward the object of our work as though towards and opening on the supreme fulfillment of our beings” (27). The collective effect of Teilhard’s vision is the fresh potential that Christians would be faithfully engrossed in human endeavor, rather than made passive by it, as Marx accused. Fueled by belief in the eternal value of what they are doing, Christians should be among those most invested in earthly concerns (while simultaneously being the most detached). A primary impact of this vision in our contemporary context would manifest as radical commitment to address environmental issues. In addition, Christians would be impassioned for advancement in such areas as medicine, technology and the arts, all of which we can imagine being celebrated achievements in the eschaton. While I would nuance Teilhard’s suggestion that we “help to make Christ perfect” by stressing that perfection here pertains only to the totality of his effective rule, not his holiness or intrinsic authority, I affirm wholeheartedly the eschatological grounding of his theology of work (26). Focusing first and foremost on the immediate duty of “fashioning our own self” as a Christian apologetic, and next upon the wider territory of the world as a venue for Christ’s further glorification, a Christian compelled by Teilhard’s vision would lead a life both integrated in faith and winsome to others. Finally, drawing upon Teilhard’s vision for a truly robust spirituality of work would require engagement with ethical questions regarding whether there are limitations on the types of work that ought to be construed as contributing to the kingdom of God. I have little doubt that some professions (such as assassin or pornographer) might be ruled out entirely but it would be equally important to consider the ways that seemingly innocuous professions (such as stock broker or marketing specialist) might be complicit in systems that perpetuate injustice. If, as it might be suggested, all work is tainted by this web, a spirituality of work might benefit from habitual confession in addition to a celebration embracing the ways work contributes to the Pleroma. * “...indeed true Christian worship is an offering on behalf of the whole of mankind. The Church as a whole is called to be God’s holy priesthood for all of the human family. ... This means, for example, that in our worship we should try to offer up to God all that is best in the art and music and thought of the world around us. All of it belongs to God, and all of it should be offered to God in our solemn acts of worship.” Lesslie Newbigin, The Good Shepherd (1977), p. 30.